Art Kane was a fashion and music photographer who shot from the 1950s through the early 1990s. He created many popular photographs of popular musicians during that time. After serving in the Army, he returned to a successful publishing career. He served as the art director for Seventeen magazine (landing the job at age 26). Under the influence of professional colleagues like Roy Kuhlman, Dan Wynn and Carl Fischer… he began to explore photography. He started to really embrace photography in 1956 and began to submit his work for publication. It was the summer of 1958 that his career really took off as he took on a special project for Esquire magazine on the history of Jazz. His work is often praised as it combined his love of photographs with his visual design as an art director. His style is often considered photo illustration as they combine elements of documentary and journalistic approaches while still leaving elements for the audience to fill in. Ive always considered myself an illustrator, a literate photographer interested in producing images that reflect the essence of an idea…I wanted to interpret the human scene rather than simply record it. Besides portraits and magazine work he also shot for commercial clients. His work included campaigns for cigarettes, beer, automobiles, airlines and fashion. While his portfolio was diverse, he still had a consistent style. He is known for focussing on preproduction and the use of compositing with slides. Let’s take a look at one of his most famous photos. 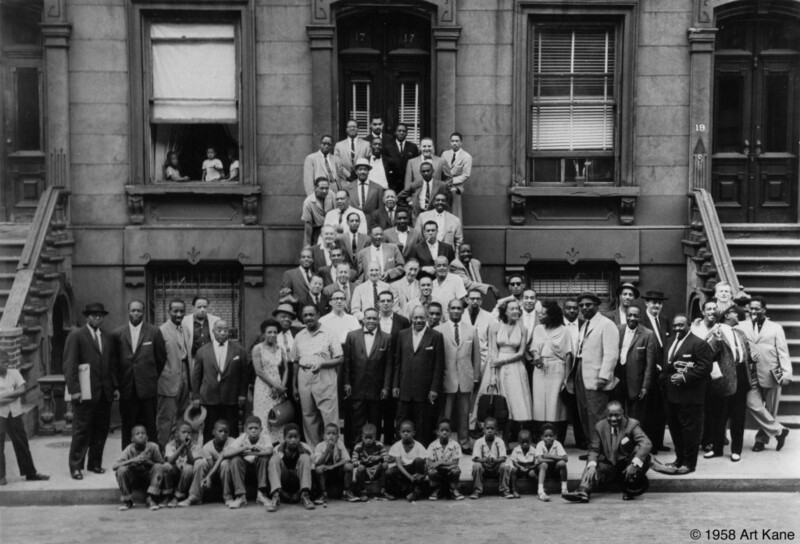 He assembled 57 legendary jazz musicians for an Esquire magazine photo. Its creation was chronicled in this documentary A Great Day In Harlem. You can see the rest of the video here in this (it’s split up into smaller segments). Reblogged this on Charly's History. Wow! That is sooo cool. The photo, the film and the story, really great!